Happy New Year 2005! May each of you have a wonderful happy fulfilling year. Our Zonta International President, Mary Ellen Bittner said "a better world for women is a better world. We have been working for that better world for almost 85 years, and we have a great deal to be proud of!..but much more remains to be done". As we sit in our warm homes and offices with all of our needs met...hundreds of thousands of people across the world devastated by the earthquake and resulting tsunami are in our thoughts. We have Zonta Clubs and sisters in Sri Lanka, Thailand, India and Malaysia-some of the countries most affected (Indonesia was a country severely impacted also). I am so proud to know that the U.S. is providing all types of special disaster emergency assistance to these countries. Zonta International has issued the following statement "Rather than establishing an emergency or disaster relief fund through our Foundation, we believe it is much more effective - in terms of time and costs - for individuals to contribute to emergency and disaster relief efforts directly through the organizations that have special disaster emergency expertise." If you wish to provide donations, you may access these organizations on the Zonta International web site, http://www.zonta.org/. As we - Pikes Peak Area Zontians - seek to improve women's lives through service and advocacy this year, think of the proverb quoted by Mary Ellen Bittner, "Women hold up half the sky." 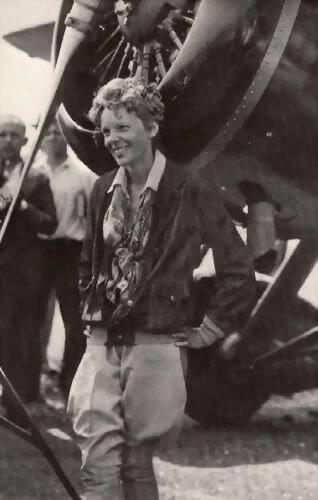 Hope to see you at the Amelia Earhart tour and dinner at Peterson Field, Sun 1/23/05. Be sure and RSVP to Pamela Sufak! RSVP Deadline is January 15th for the Special January 23rd Meeting! Ahhh - 2005! Who would have thought it? From what I've heard of our energetic committees, Pikes Peak Area will have a super year! Guess the item on our minds today is the horrible tsunami on the other side of the world. I am including here a message from our International President concerning the situation from the Zonta standpoint. As you know, the earthquake and resulting tsunami in South Asia and East Africa have caused enormous devastation in Indonesia, Sri Lanka, Thailand, India, and Malaysia, among other countries. There are Zonta clubs in all of these countries except Indonesia. The human loss, the challenges of meeting the basic needs of survivors, disease prevention and economic loss are of course severely affecting all of these countries. Zontians in many countries may have lost friends and family members. Hundreds of thousands of people have lost loved ones. We express our deepest condolences and concerns for all those affected by this extraordinary human tragedy. As this tragedy continues to unfold, the need for international aid is enormous. We are receiving many inquiries on how we can all be of assistance, in addition to our normal service support to our own communities and to programs funded by our Foundation. The most expedient and effective way for us to help is to donate money to support the relief efforts of charities on the ground in these countries. These organizations are best equipped to function effectively in disaster situations. At this time, cash donations are best. Donations of clothes, blankets and other items pose logistical challenges and may be costly to get to where they are needed. With cash donations, disaster relief organizations can purchase needed items where transport is most efficient. Our donations directly to the charities best positioned to deliver aid in this situation is the most immediately effective means of helping, and provides for simplicity of payment with the least amount of bank and processing fees (and may provide tax benefits to the donor). There are a number of well-qualified charities already making a responsible and immediate impact with donations they receive. Here are just a few. Doctors Without Borders / Medecins Sans Frontieres, an independent humanitarian medical aid agency. http://www.msf.org/ is the international Web site of this organization. Through this link to the Homepage, you can get updates on their current activities in response to the crisis, and "Go to MSF country sites" in the upper right to make your donation through a national affiliate. UNFPA, a United Nations agency calling on governments, sister UN agencies and other humanitarian partners to ensure that the special needs of women and girls are factored into all short- and medium-term relief planning. UNFPA has committed up to $1 million and additional staff for rapid health assessments, hygiene needs and health supplies, including water purification tablets. Priority areas to be addressed by UNFPA will include emergency obstetric care, the establishment of temporary health facilities, and the provision of equipment and supplies. Go to http://www.unfpa.org/support/index.htm. When visiting these Web sites, keep in mind that they will all be experiencing heavy traffic and therefore may be exceptionally slow to load. For more options, try visiting the Web site of your local news media; they often provide a list of organizations accepting donations for specific relief efforts. We know that you all share our concerns for Zontians in these countries. We have written to the District Governors of Districts 17 and 25. As we learn more, we will provide updated information on this Web site. Please join us in wishing for a speedy and effective international response to this crisis, and for a better world and peace in the New Year. 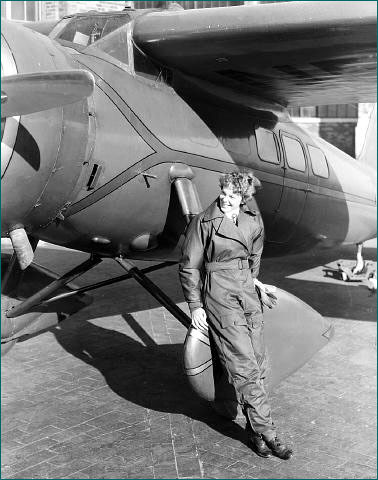 Our January program has been designed in honor of Amelia Earhart. We will be gathering on January 23, a Sunday afternoon, at 4 PM sharp... not our regular meeting night. There will be no regular meeting but we will be treated to a special event at Peterson Air Force Base. We will be given a briefing regarding Peterson Air Force Base-How it fits into the big picture, The roles of the various Air Force Bases in Colorado Springs, Cheyenne Mountain- Norad, Schriever, and the AFA. We will explore the responsibilities and limitations of women in these Air Force locations and their participation in events around the world. Following the briefing we will enjoy dinner in the company of airmen. We will have ample opportunity to question them. Dinner Cost will be approximately $10.00 per person-to be paid at the meal. The bus will return us to our cars between 8-9 PM. For questions or clarifications please contact Pam Sufak. "I am only one, but still I am one. I cannot do everything, but still I can do something. I will not refuse to do the something I can do." Subject: Liberian families are thrilled! I made six deliveries today, and it was a most humbling experience. I saw joy and tears of gratitude, thanks to your most generous hospitality. At the first stop, I met Joseph and his sister Sarah in apartment #105. Joseph helped me with the boxes and then invited me in to a neat but small place. Sarah is quite elderly and can hardly walk. A folded wheelchair was near the door, and the stench of urine was very powerful. I asked Joseph to deliver 3 boxes to his neighbors in #109. With his broken English and my hand signals, I got the message across. It was apparent he didn't know them, but he was happy to hold the gifts until they got home. Next I tried to meet Mukajei, but she wasn't home. However, a kind oriental neighbor heard my knocks and said she would deliver the treasures. On to the third stop. I parked and opened the back of my car. A kind, smiling man in a coat and hat offered to help. I told him I wanted #259, and he said yes. I didn't know what that meant, so I gave him a huge box and followed with a bag. He whistled a bit and #259 was opened by a lovely lady who hollered something good, I'm sure. She grabbed the bag from my hand, so I went for the third box. Their apartment was also small but clean and decorated for Christmas. I think the man and woman are a couple, and my notes said Old Lady Wessey, so I asked where she was. The woman said she's in the hospital but hopes to be back before Christmas. The lady, Hawa, hugged me and cried. She squeezed real hard and the man just grinned from ear to ear. The embrace was worth the trip. He walked me to my car and waited until I pulled away. He waved until I was out of sight. The next stop on N. Murray was difficult. All these buildings have a sign for the manager's place, but none of them were there. I had thought about leaving our donations there for the people not at home. But no such luck. I pounded on the door of #11, and #13 answered. I told her I had gifts for the family in #11 and would she please deliver them for me? Yes, she said but she was also needy. Her baby's father had thrown her out, and she had nothing. As she's talking, she's smoking and holding one black baby in one arm, and a brown one in the other. My heart ached for her, so I gave her the phone number for Lutheran Family Services and a vacuum cleaner donated by Pam Sufak. The other boxes I left with her for the family in #11. The last stop was definitely the best. The door mat outside the apartment was my first clue. Alice was home and a delight. She was wearing a beautiful caftan of African print with a head turban to match. Her place was very neat and decorated for Christmas. Her English was the best. She's been here nine months and lives alone but her brother lives close by. She doesn't yet have a job but is hopeful. She offered me a drink, so I asked for water. Her beautiful white smile and warm hugs were wonderful. It took two hours to pack the gifts and 90 minutes to make the deliveries. You all were so generous. Everyone got a gift card, clothing, food, notebooks, soap, and pans or cooking tins. There was a lamp, clock, calculators and toaster for some lucky ones. You made my day. I was the lucky one who got to see the grateful smiles. Thanks for letting me do it. My last Sunday was similar to your experience. As you know I am working with the Mighty Muse program giving writing workshops to women in Community Corrections and other groups who are in recovery from drugs, domestic abuse, alcohol, incarceration and other dreadful problems. Some groups are still in custody. One woman who has graduated from incarceration and such programs, and whose writing Mighty Muse has published in our journal, has nevertheless been homeless for some years. As you can imagine, she was thrilled to tears and so was I since her response to our celebration was so moving. She seemed actually to alter a "most people are no damn good" attitude that had grown from her dreadful experiences and begin to believe in the possibility of warm relationships. So I thank you, and thank Zonta, for increasing the joy in the world so significantly! And thank you all for keeping me on the Zonta e-mail list, too. See you soon! Merry Christmas! I grew up on Chicago's north west side in Streamwood. I went to high school at a boarding school called Hobe Sound Academy in Hobe Sound, FL. Later, I went to Ivy Tech College majoring in accounting with a minor in business management. There I met my husband Ronald D. Jones. At that time I was doing private investigations which I found to be an intriguing and exciting business. I started investigation work right out of high school when I was 17 and did that until I was 25. We had our first daughter in 2000, a millennium baby, and we named her Ariel Alicia. I moved to Colorado Springs in 2001. My husband, who is an automotive technician, and I decided to start an automotive repair facility called Auto Clinic of the Rockies which has been in business for about three years. We decided to expand our family once more and had another beautiful daughter. We named her Mckenzie Lynn. In the mean time, I did leave private investigations to pursue and further our business. I now work full-time with my husband who is my best friend. My biggest interest lies in my family. We do everything together such as hike, ski, rappel, but my favorite is cliff diving. Some of my other hobbies are reading, volleyball, and working out at the gym. I am on the board of the Hispanic Chamber of Commerce. I was just inaugurated and my term starts officially in January. I will serve on the board for at least 3 years and look forward to serving the community. I found out about Zonta on the Internet. There are so many great aspects of Zonta. I think it is great that we support local organizations as well as international organizations and we have the option of giving money as well as getting personally involved. I think Zonta is a great organization and am glad to be apart of it. I look forward to developing relationships with the women of this chapter. Alicia Jones and Kate Brewster are teaching classes in the District 11 Community Ed program. Come sign up for classes. Check the schedule at www.d11.org/communityed. The committee for the Liberian Service Project will be meeting with the case manager and director for the refugee program of Lutheran Family Services and a representative from the District 11 ESL Progam who works with many of these woman currently. After their meeting they will come to our membership with ideas of ways we can help them settle into our community and find work. We look forward to seeing the talents of our Zontians make a difference in these women's lives. KUDOS to Kris Wells - for her hard work with the Liberian Women's service project. KUDOS to Phyllis Zell - from Susie Nulty for hosting another wonderful Christmas party. What fun it is to see your lovely home! And I especially loved seeing all my Zonta and Zonto friends. Featured Links of the Month and New Year! Everything you need to know about "Auld Lang Syne"
January '05 Special Amelia Earhart Celebration More details will follow!